Renewable Energy Discussion on various alternative energy, renewable energy, & free energy technologies. Also any discussion about the environment, global warming, and other related topics are welcome here. They all work differently and I have no favorite just yet. Every time. I don't email you but I am there. Much appreciation Sir. I am all ears for your delivery. Are you not getting the results you want by simply using as little trigger as possible by just increasing the base resistance so you get the fastest speed for the least draw? Also, are you running in repulsion mode or attraction mode? I like the one circled. I want to try them all. If you tried the circled one tell me if the battery went down. Mikey PS I'll bet the COP is pretty good. but probably not until next week unless unexpected extra time shows up. It only has one diode. Both trigger and power windings are discharging in series into the secondary battery. It has both normal and generator mode where generator mode is selected in the schematic. Last edited by nilrehob; 03-28-2015 at 07:06 PM. Recently I went to fast diodes, what number do you run? I thank you 4 your video of single battery mode not so good 4 the battery. My new diode doubles my output 4 the same current input. I guess I had really bad slow diodes before. My diodes are usually SF16G but I'm open for suggestions for better ones. 45ns is pretty fast, I like it. Some are higher voltage say 1200volt, your device is only 400volt. Even a 1000volt is better. 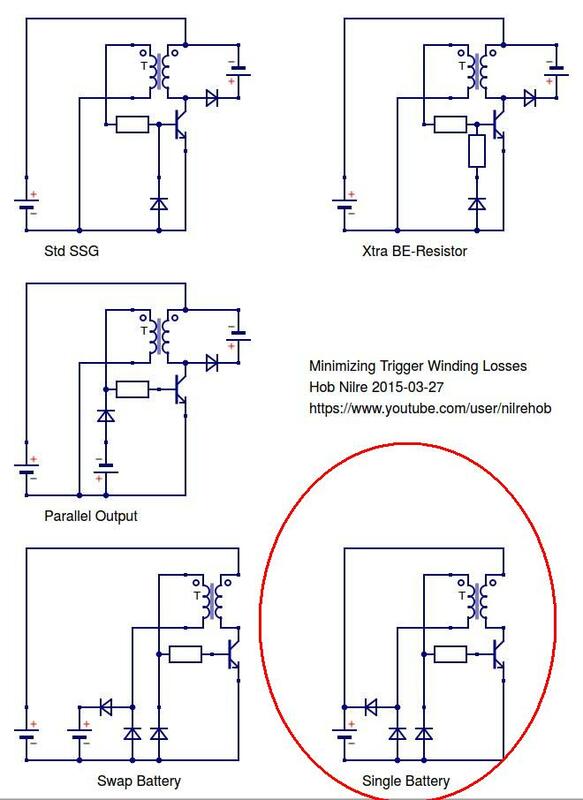 Maybe HITBY will chime in, he is the master of diode reality. I only just started using FAST DIODES but mine handle 30amps. The 2n4007 is 4ns at a higher voltage but I don't know what to tell you is better for sure. We will leave that up to the guys who know. But your diode is way better than what everyone else uses. Aaron told a number of a new diode but I am not sure on that because I didn't try one yet. Maybe they call it ultra-fast? One thing is sure. When I use higher voltage ceilings of fast diodes my output doubles sometimes for the same draw on the input. Check my post on your other thread about the other half of the monopole system.